Mike Potter was a powerful back row forward who made 220 appearances for Gloucester between 1968 and 1974. He played throughout the 1972 cup campaign. He also played for Gloucestershire. The following 1969-70 season the durable Potter played 48 games for the club. Mike Potter was a wholehearted player’s player who could be relied upon to give 100%, especially in the big games. Perhaps one of his greatest performances was in the epic 9-4 Cup ¼ final victory over London Welsh at Old Deer Park in March 1972 where he scored the winning try and was generally considered to have outplayed the great Mervyn Davies at No 8. He went on to play in the semi final success at Coventry and in the victory over Moseley in the first Twickenham Final. In all he played 38 games in the 1971-72 season when, under Mike Nicholls’ captaincy, Gloucester not only won the first ever knock-out cup but only lost 9 of 49 games played. 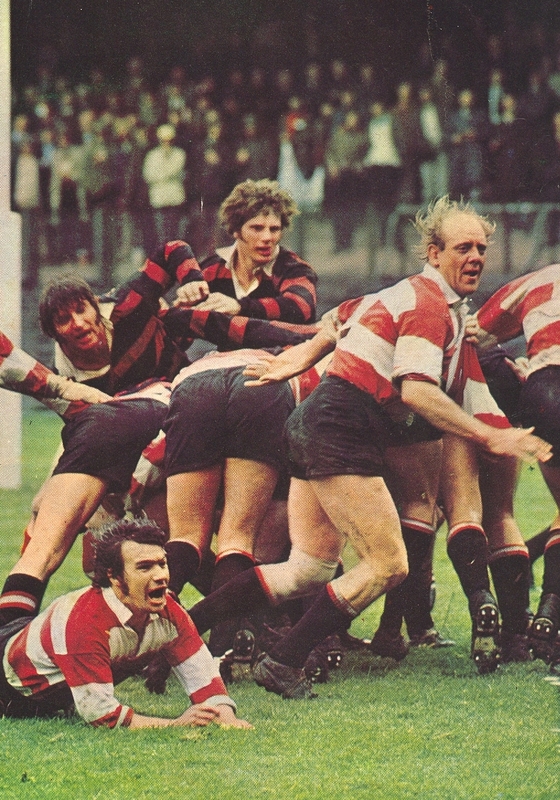 He made his county debut in 1972-73 in the quarter final of the County Championship, a 39-12 victory over Oxfordshire at Kingsholm, but opportunities were rare with England internationals Watkins, Hannaford, Rafter and Rollitt competing for back row places in the county team. He played regularly again for Gloucester that season but his 1st XV opportunities were more limited thereafter although he had a run in the first team late in 1975-76, after which he retired. Mike Potter represented the hard working loyal club man who gave his all every Saturday and on his day could be a match for any opposition.